Students in Mr. Dean Filipi’s construction class have been busy trying to wrap up their projects before the end of the year. 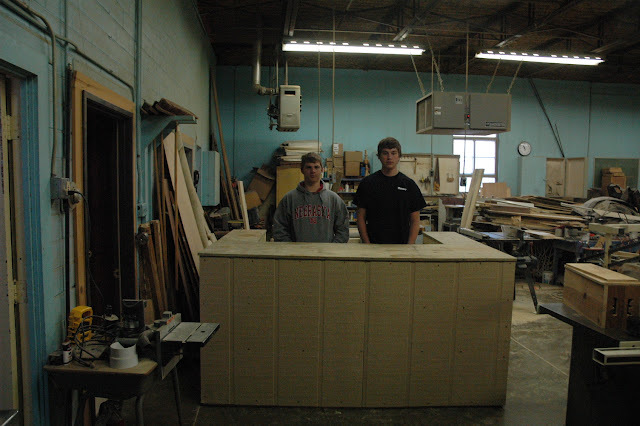 Garrett Pribyl and Alex Benorden are ready to take tickets at the ticket booth they built for the Milligan Q125 celebration. 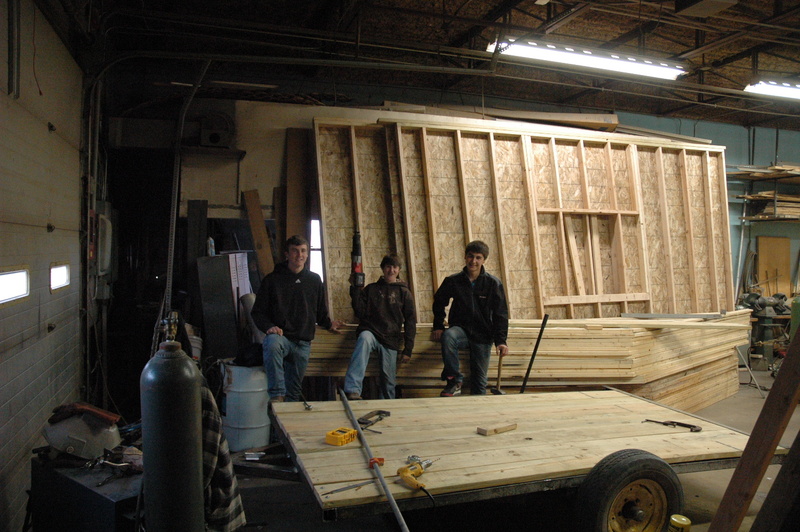 Nolan White, Robert Harre and Preston Motis stand behind the trailer they are building.